"Magic blooms only in rare souls… Still we must skulk in the shadows." Warner Bros has debuted a new full-length trailer for Fantastic Beasts: The Crimes of Grindelwald, following its premiere inside of Hall H at Comic-Con in San Diego. This epic sequel is once again directed by David Yates, the next chapter in the newest J.K. Rowling spin-off series. Eddie Redmayne returns as magizoologist Newt Scamander, and the rest of the key cast is back: Katherine Waterston, Dan Fogler, Carmen Ejogo, Zoe Kravitz, Ezra Miller, Alison Sudol. 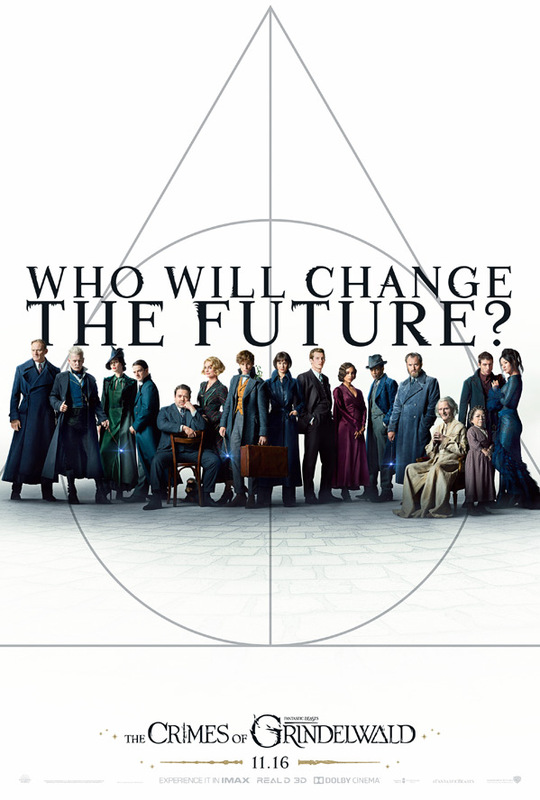 Newcomers for this sequel include Johnny Depp as Gellert Grindelwald, Jessica Williams, Claudia Kim, and Callum Turner, plus Jude Law as a young Albus Dumbledore. This is a serious, full-on 3+ minute trailer with some very epic footage. I'm honestly excited, it looks great. It's also nice to go back into a fully realized, detailed world of creatures and magic everywhere. Take a look. You can still watch the teaser trailer for The Crimes of Grindelwald here, to see the original introduction. The powerful dark wizard Gellert Grindelwald (Johnny Depp) was been captured by MACUSA, with the help of Newt Scamander (Eddie Redmayne). But, making good on his threat, Grindelwald escaped custody and has set about gathering followers, most unsuspecting of his true agenda: to raise pure-blood wizards up to rule over all non-magical beings. 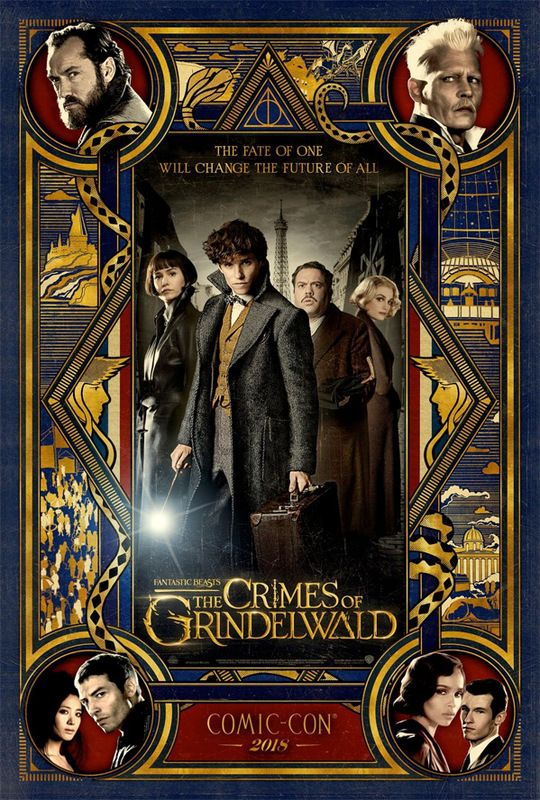 In an effort to thwart Grindelwald's plans, Albus Dumbledore (Jude Law) enlists his former student Newt Scamander, who agrees to help, unaware of the dangers that lie ahead. Lines are drawn as love and loyalty are tested, even among the truest friends and family, in an increasingly divided wizarding world. Fantastic Beasts: The Crimes of Grindelwald is once again directed by English filmmaker David Yates, of the first Fantastic Beasts, plus Harry Potter and the Order of the Phoenix, plus Half-Blood Prince, and both Deathly Hallows. Warner Bros will release Fantastic Beasts: The Crimes of Grindelwald in theaters everywhere starting on November 16th later this fall. Looking better?